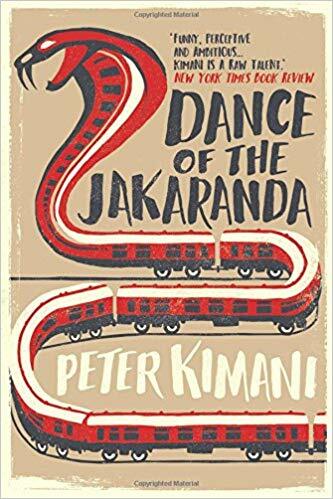 Peter Kimani brings to life a colourful cast of characters in this mesmerising novel set in the shadow of Kenya’s independence from Britain. Peter Kimani is an award-winning Kenyan novelist and journalist. Kimani was one of three international poets to compose and present a poem for Barack Obama’s inauguration in January 2009. A prominent journalist on Kenya’s national news circuit, Kimani’s work has also appeared in the Guardian, New African and Sky News. This is the one to understand the meaning. “Some ancient sage counseled the wisdom of trust the tale, not the teller,” Kimani’s narrator advises. “But the invitation here,” he adds, “is neither trust the tale nor the teller.” In our pandemic of fake news, this is sensible advice; we today might better seek important truths from storytellers like Kimani than our too often compliant and compromised mass media. Brought back the laise fare lifestyle of the 70s in Nairobi.. A good read.. Brings his characters easily to life! Beautifully told. These stories about Kenya’s rich bitter-sweet past need to be told. Peter captures that in this text. Lest we forget! Excellent literary work. Pen more, Peter. – I learnt a lot about our country history which we did not learn back in our school age . – inspired me a lot. For the history of Railway, Look no further. I do not know why it took me too long to read this book. I’ve learnt so much. Inspiring and captivating. This masterpiece I like. The narrative is such educative and enlightening. A must read. Dance of the Jakaranda resonates with the mind that grew up on the erudite genius of African Writers Series. It deserves its own AWS number like the great books of yore. Peter Kimani is clever, very creative and immensely entertaining. Prof, really great work. Captivating, intriguing and thrilling. All the best ndugu, keep uup tthe ggood work. Arguably one of the best writers I have ever interacted with. More is yet to come from this sage. It was a pleasure reading such a refreshing book where humour drips naturally from its pages like honey from from a hive. What an amazing read this is. I have learnt so much about Kenya’s history documented in an interesting and witty manner. Kudos Dr. Kimani. I’m definitely looking forward to buying this book and reading it. Congratulations Dr Kimani. Great work and congrats for well done book. Kudos. The book paints the picture of pre independent Kenya and how the railway line contributed towards the growth of towns like Nakuru and Mombasa. Good literary work. Keep up the good work. Very creative entertaining and exciting all season stories keep it up. A beautiful story of our rich history as a country told by one of our own in a beautiful way. Kimani, when is the next one coming out? Excellent book. Witty. Poetic and filled with humor. Loving every moment! Truly the best story of our time congratulations Dr Peter Kimani. Great interplay between Myth and Fact in telling a story that weaves through the intricate web of race relations that define Kenya’s history. Quite an interesting story Peter Kimani. Great piece of work, and hilarious too! Great story telling, funny, engaging, brilliant, smart! This book reminds of the iconic novel by Gabriel Garcia Marquez, One Hundred Years of Solitude. What a fantastic and informative train ride of a book! gives one a deep thirst to know more about their people’s history… so vivid…so poetic…so painful… so disturbing…so worth the read! A great book. It ranks up there with the best. Such a great book capturing the legacy of colonialism which is still visible today in our society. A great contribution to African literature. Looking forward to reading Kimani’s voice in his subsequent books! Lovely and poetic. Love the book and highly recommend it. The stories evoked a hunger in me for a lot of things…good things. The stories are just funny, real, sad, and illuminating. He is such captivating, gifted story teller! Simplicity is achieved by a master of crafts. You have my vote Kimani. A necessary read, examining the role of an overlooked community in the fight against colonialism, and exploring issues that we are still grappling with decades later. But most important of all, a good story and easy read. Anxiously awaiting his next book! It’s a beautiful piece of writing.